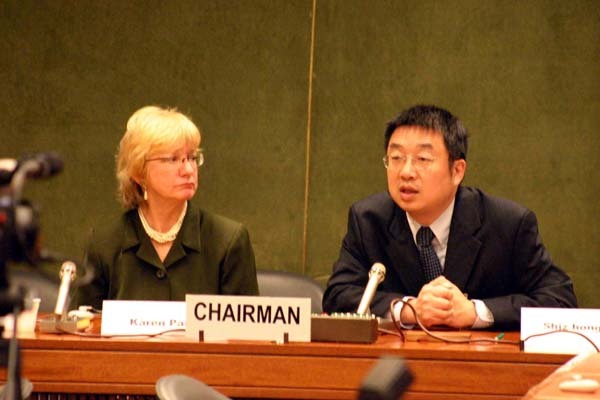 On April 7th 2005, during the 61st session of the United Nations Commission on Human Rights, the Falun Gong Human Rights Working Group, the United Nations Association of the United States of America San Diego Chapter and the International Educational Development - Humanitarian Law Project jointly held a forum entitled, "Crimes Against Conscience - The Chinese Government's Persecution of Falun Gong." The purpose of the forum was to expose the persecution of Falun Gong during the past more than five years in China. Ms. Karen Parker, Attorney for the International Educational Development, pointed out that the Chinese Communist regime has continuously attempted to deny the facts of the persecution against Falun Gong practitioners' human rights. Because of the Chinese Communist regime's brutal persecution, the case numbers of the persecuted practitioners are increasing so fast that the numbers are beyond the handling capacity of UN human rights organisations. The Chinese Communist regime does not seem to be considering changing its course of action, but instead attempts to block the work of UN human rights organisations. Mr. Chen Shizhong of the Falun Gong Human Rights Working Group, introduced Falun Gong and explained the facts of the persecution of Falun Gong in China to the forum attendees. Ms. Xiong Wei, a practitioner rescued from China and now living in Germany, narrated her experience of torture in China. She was unlawfully imprisoned in a forced labour camp for two years because of distributing Falun Gong truth-clarification materials on the streets of Beijing. She was tortured with brutal beatings, forced labour of extended duration and brainwashing sessions, leading to painful suffering both physically and mentally. Her family members also suffered greatly. During Ms. Xiong's imprisonment, her mother's legs became paralysed due to stress and grief. International human rights organisations submitted information on Ms. Xiong's persecution to the United Nations. 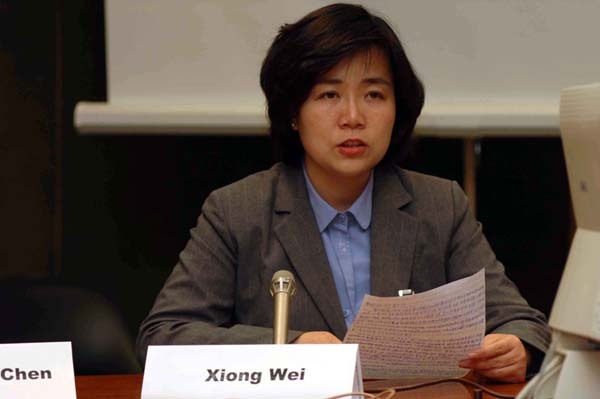 Under international pressure, the Chinese Communist regime replied to the UN's investigation by lying, saying that Ms. Xiong had not been tortured. Ms. Xiong said, "I swore in the labour camp that I would personally expose the lies of the Chinese Communist regime in the United Nations. Today, I have the opportunity to publicise the facts of the persecution. My wish has come true." Mr. 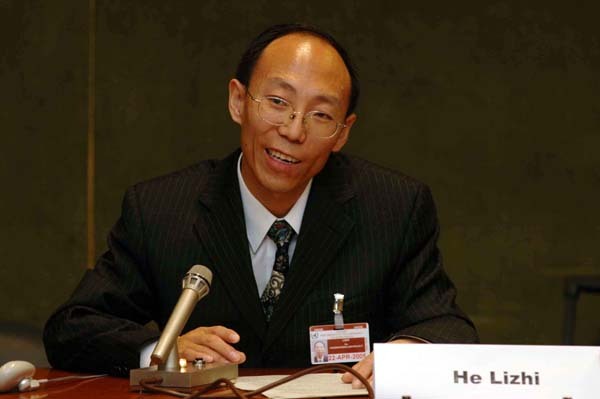 He Lizhi, a victim of the persecution, was a senior engineer and won major awards for his work in China. In July 2000, a letter to a friend was intercepted and opened illegally by spies from the National Security Bureau. In his letter, Mr. He talked about his practising Falun Gong and the facts of the persecution. He was taken away from work and sentenced to a three-year prison term. Because Mr. He refused to give up his belief, he was tortured brutally in prison and forced to attend brainwashing sessions. He also mentioned that the Chinese Communist regime-controlled media widely celebrated the regime's taking advantage of procedures to block condemnation on China's poor human rights record at the annual meeting of the UN Commission on Human Rights. At that time, the prison guards tried to deceive the practitioners in prison, telling them that the persecution of Falun Gong was supported by the international community, and forced them to write articles to commend "the best human rights period" in China. This indicated the blatant hostility on the part of the Chinese Communist regime towards the international community's efforts to improve China's human rights. Falun Gong practitioner Ms. Chen Ying, currently residing in France, was detained three times and sent to forced labour camp for one year when she was visiting her family in China. Prison guards forcefully injected her with toxic drugs, resulting in damage to the nerves on the left side of her body, spasms, and partial loss of memory. Ms. Chen said, "In China, many Falun Gong practitioners have been injected with drugs that are toxic to the nervous system. The persecution in forced labour camps involves blatant lies and violence against Falun Gong practitioners. The mental and physical tortures are designed to destroy one's conscience." She narrated her own painful experience of giving up her conscience after forced brainwashing, and then talked about the power of Truth, Compassion and Forbearance that she experienced after she resumed her practice of Falun Gong. 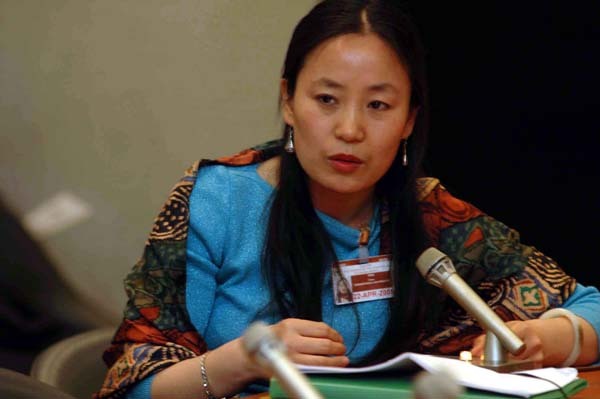 Chen Ying used her own experience to explain that the Chinese Communist Regime's brutal persecution of Falun Gong practitioners is against human nature. Where does the Money for these Geneva Activities Come From?